It's even more welcome after a blustery day in the mountain snow and wind. There's nothing like free coffee (and hot chocolate for the little ones) to warm you up after a long day on the slopes. With your own private kitchen, popcorn is just a few microwave beeps away. Set your alarm so you can be the first up the Bwana Lift, a 6 minute drive from the resort. Escape the cold weather with a relaxing swim in the indoor heated pool. There is an indoor and an outdoor hot tub at the resort – try them both and pick your favorite. See who's up for a hike. Booth Falls Trailhead is only a 10 minute drive from the resort. Brush up on your game at the Vail Golf Club Driving Range, a 7 minute drive away. A welcoming stay with stunning views of the slopes, Simba Run is tucked away just minutes from the lifts, mountain biking, posh shops and upscale dining scene – everything that makes Vail, Vail. Once you shuttle it back from the slopes, have the kids round up their pool toys, goggles and towels, and head to the atrium, home of Vail’s largest indoor pool. Grab a lounge chair and angle it toward the windows for the best views. Indoor and outdoor hot tubs seat 15 – the perfect place to get the inside scoop from fellow guests on everything from undiscovered runs to hidden-gem restaurants and local hotspots. Get your cardio on in the well appointed fitness room, then make a post-workout stop at the sauna and steam room. If you’re here for a summer stay, the three tennis courts beckon. Visor-up and take on the kids for the best two out of three. (They may have speed, but you have accuracy.) Thinking burgers for dinner? Recruit some side-dish carriers and head for the outdoor grills, then lay out the toppings and condiments and let everyone have at it. Individually decorated two-bedroom condos are a spacious 1,000 to 1,300 square feet and sleep up to six. First things first – complimentary Starbucks coffee is standing by for wake-up duty. Get it all set up the night before, so in the morning you can just push the brew button and await the magic. And for dinner, plan on making your entire repertoire of family favorites – full kitchens have all the essentials. Back from a long day on the mountain? Thaw out from the cold in front of the wood-burning fireplace. The TVs have premium channels and DVD players, and Redbox DVD rentals are available onsite. Be a hero and let each of the kids pick out a movie. The in-unit washer/dryer makes it easy to pack light (more room for souvenir coffee mugs and t-shirts!). And light housekeeping is blissfully welcome after an exhausting day on the slopes. Simba Run Vail is a half mile from the pedestrian bridge. And from there, it’s a fifteen minute walk (or even faster complimentary shuttle!) to lively Lionshead Village, the Eagle Bahn Gondola and Vail Village, where you’ll find acclaimed restaurants and endlessly browsable shops. Looking for new ski boots? Leave it to the experts at Boot Lab – they have a 30-years-strong reputation for nailing the perfect fit. Winding down on the shopping? Stop by Tavern on the Square inside the Arrabelle at Vail, for the Grilled Elk Lettuce Wraps. Feel like venturing further afield? Hire a private fly fishing guide, or try a fishing/paintball combo. 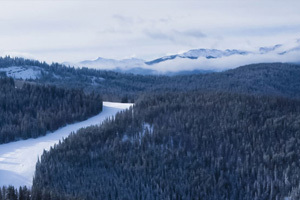 During the winter season, you can take snowmobiling trips starting from historic Camp Hale (originally built for military winter and mountain training during World War II). And check the Vail events calendar for the area’s famous festivals and concerts, like Blues, Brews & BBQ, Vail Arts Festival, America Days, Beaver Creek Rodeo Series and Jazz at Vail Square. - The front desk is open 7:00 AM - 11:00 PM daily. Guests that are planning to arrive after 11:00 PM must contact the property in advance using the information on the booking confirmation.